France's wolf population will be allowed to grow 40% by 2023, despite protests from farmers, the government has confirmed. As reported, the 'Wolf Plan' is intended to ensure the survival of the species in France, which was wiped out in the 1930s, and only returned in 1992 via Italy before spreading into Switzerland and Germany. The plan allows for the wolf population to grow from an estimated 360 today to 500 in five years. But the scheme has angered farmers, particularly in the Alps and Pyrenees regions, where wolf attacks on livestock have caused financial problems. Wolves were blamed for the deaths of an estimated 12,000 sheep in 2017, while damages paid out to farmers for livestock killed by wolves rose to €3.5million in 2016, the latest year for which figures are available, a rise of 60% compared in three years. They have also been sighted in the Massif Central, home to France's biggest sheep breeders. 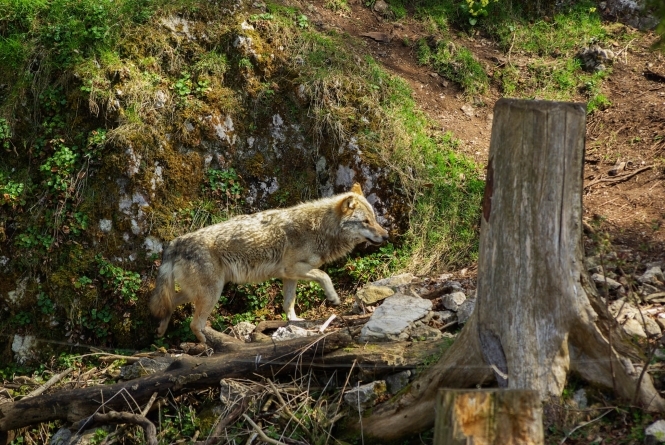 Environmentalists, however, argue that not enough is being done to help wolves - an animal protected under the Bern Convention, to which France is a signatory. Environment Minister Nicolas Hulot’s proposal includes financial aid to help farmers protect their livestock, using electric fences and herding dogs. Hunters in France would still be allowed to cull 40 wolves this year, the same as in 2017. That cull figure will be set at 10% of the wolf population every year from 2019, rising to 12% if wolf attacks become more frequent. And farmers will be able to shoot at wolves to defend their animals if necessary.